Seasoned leader with expertise in product management, product development, business development, customer advisory, pre-sales and alliances across a variety of industries and technology areas. Proven track record of individual contribution as well as leading teams to achieve business objectives and meet co-carried sales quotas. Current passion is Hadoop, BI/Visualization, Internet of Things and Big Data Analytics. 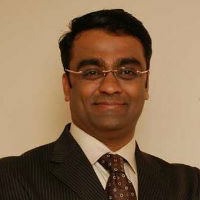 Strong background of developing and delivering differentiated messages around the portfolio, the market direction and competitors in highly competitive markets; 15+ year track record of launching products into existing and new markets; Experienced company representative and speaker at all levels including to the c-suite, large audiences at conferences, customers one-to-one and partners.